A responsive website is a website adapting its layout to the size of a screen, without having to loose in readability. Websites built according to responsive webdesign automatically adapt to the used device, such as a computer, tablet, or smartphone. The website scales fonts, images and other content automatically to an optimized format. This gives you a fully responsive website that automatically adapts to whatever screen size used. A responsive design is characterized by the use of so-called ‘grids’, or blocks. These grids vary in width and therefore can be ordered in different ways. In a wide screen format, the blocks are displayed horizontally next to each other while the blocks vertically when displayed within a narrow screen. Basically, with a responsive website the same content is just displayed differently. 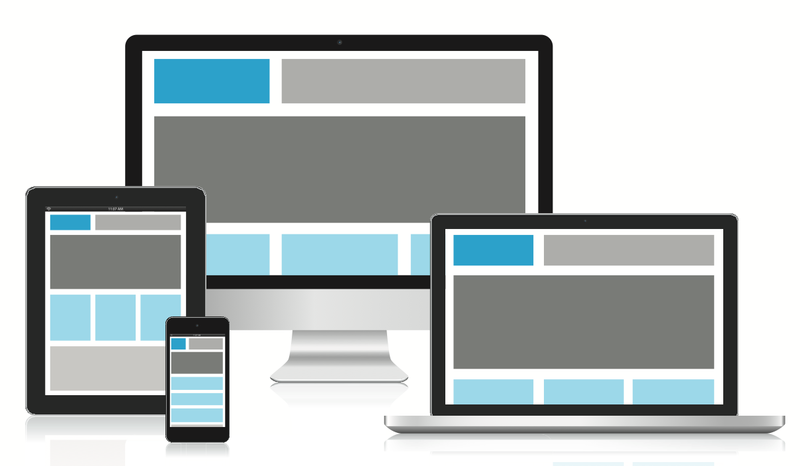 With a responsive website you’ll have one site that is appropriate for each type of device. Given the impact of mobile use, it is crucial that your website is also suitable for tablet, and smartphone screens. » Want to know more? Just ask and we’ll provide a tailor made quote.